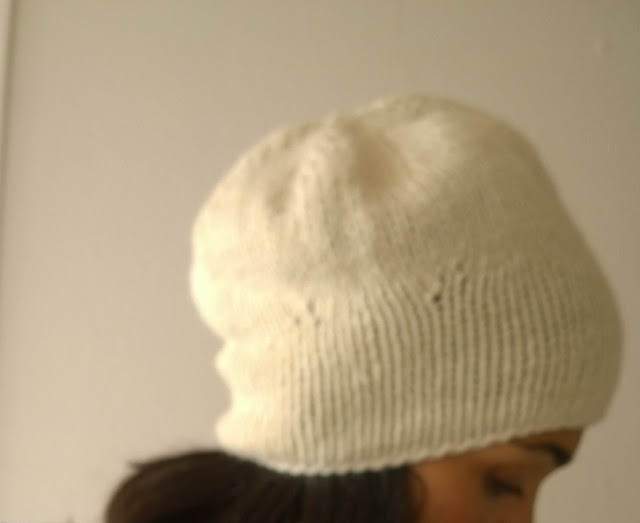 Karn Knits is now part of Karen Karn design. I’m a self-employed designer in the process of turning this hobby (dream!) into my main source of income. 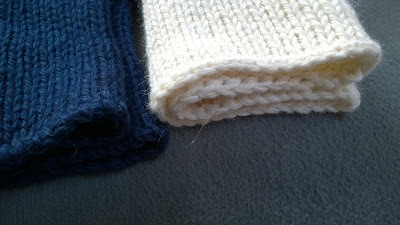 Therefore, most of the patterns on this blog will no longer be free, but available for purchase in the shop. As they are now for purchase, I’ve raised the standard and provided additional information, such as gauge and quantities of yarn which are missing from most of the free patterns. If the pattern you’re looking for isn’t in the shop yet, please contact me at karn@karnknits.com. This hat can be knit any length. 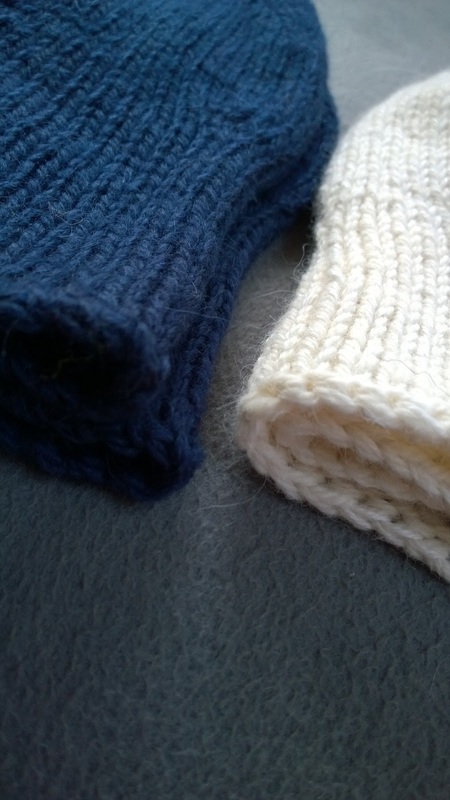 It has no ribbing and has minimalistic look. 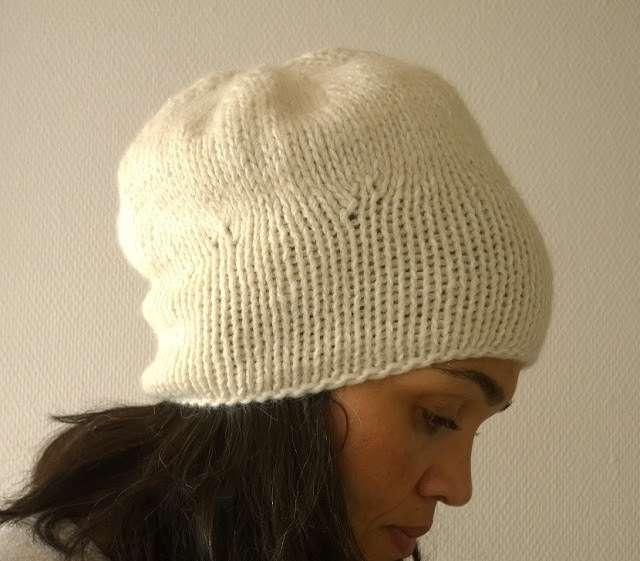 The white hat is in aran weight Nepal by Drops and 4ply Mini Alpakka by Sandnes Garn. 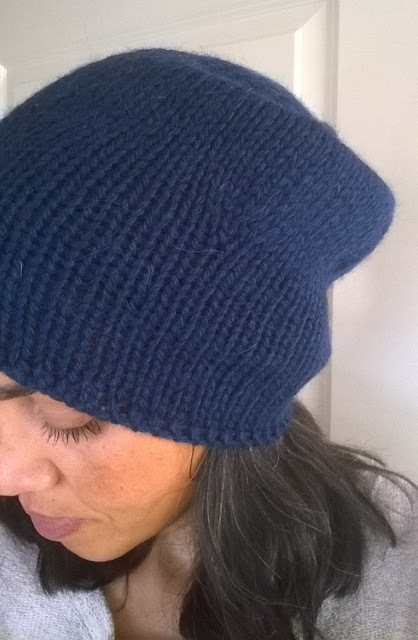 The blue hat is some random yarn I had in my stash with no label. 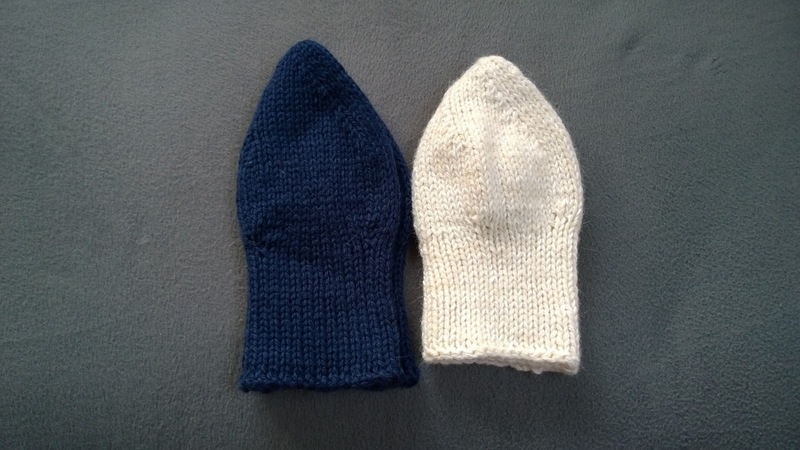 The white hat has a standard cast on. 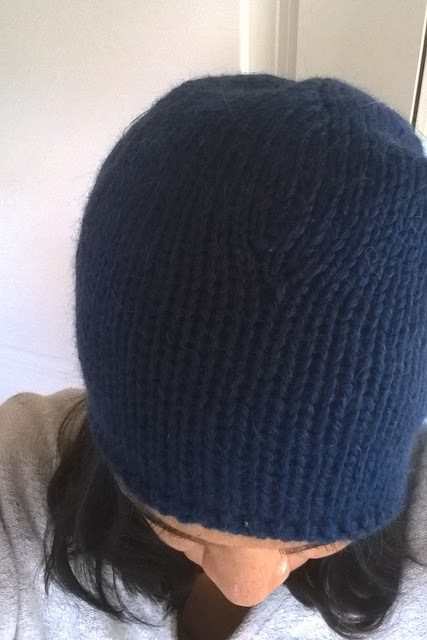 The blue hat I knit using a provisional cast on, then went back and cast off the rim using the loose, slightly decorative Russian bind off. 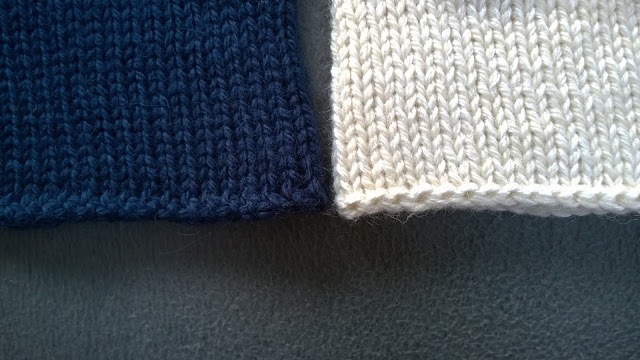 Russian cast/bind off egde vs. regular cast on edge. 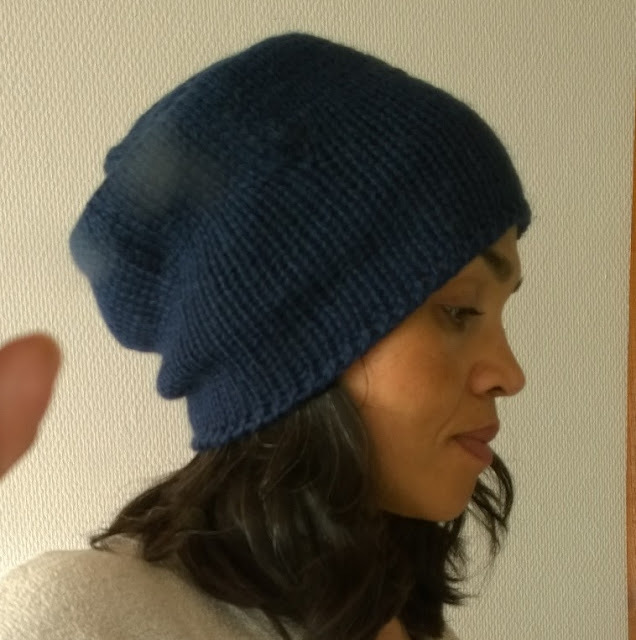 The blue hat has a longer band.